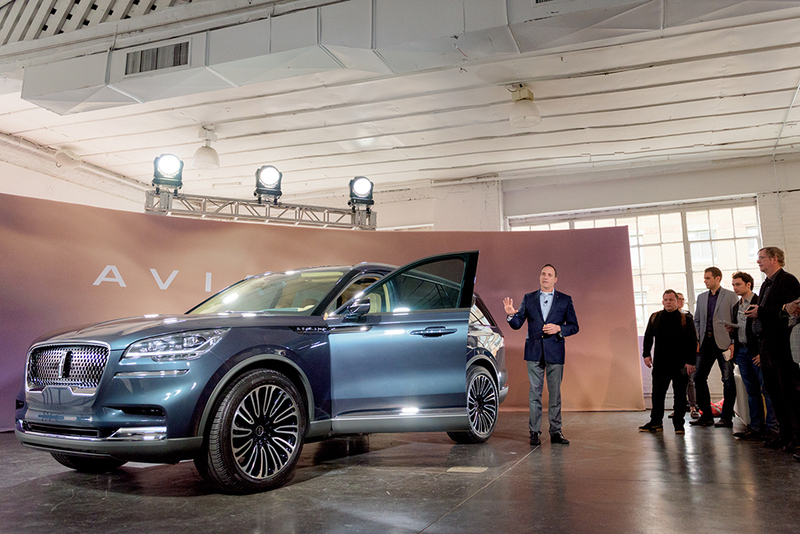 The Lincoln Motor Company unveiled it’s new Aviator to members of the press on March 26, 2018. Civic Entertainment Group invited 8 Hands High to design a gallery to showcase the design, and reveal the new SUV. The space was chosen for it’s large windows and high ceilings that create an airy atmosphere. Aviation inspired elements enhanced the feeling of flight. Visitors arrived to a welcoming reception area before being guided, by a docent, through a gallery of inspiration and design development. Sliding translucent panels revealed the all-new Lincoln Aviator against a beautiful sunset sky. An inviting lounge space encouraged visitors to linger and explore.